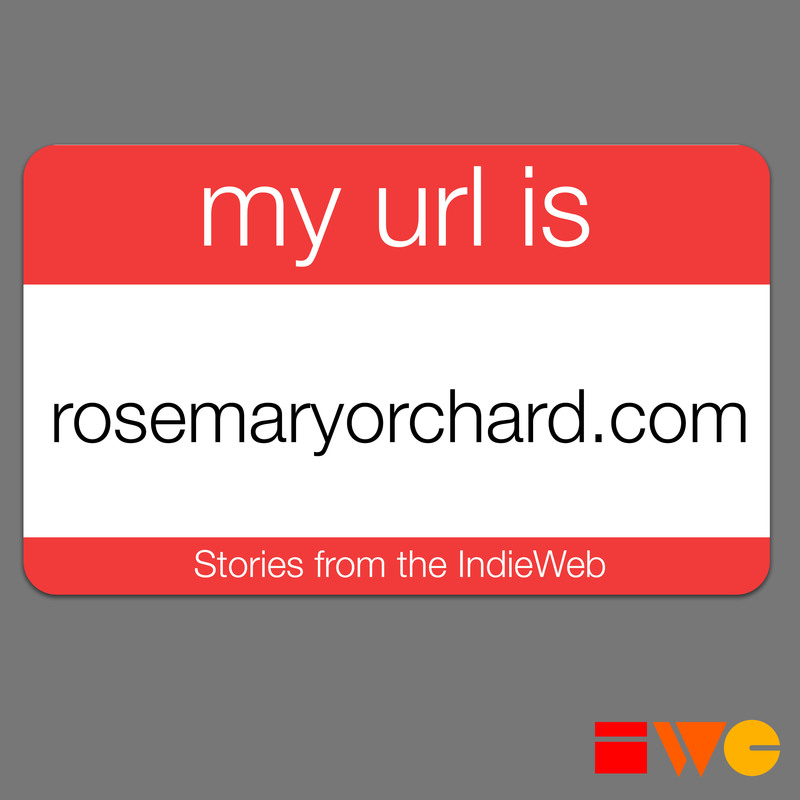 In this episode Eddie interviews Rosemary Orchard, a new member of the community. We talk about how she found the IndieWeb, attending IndieWebCamps remotely, wiki editing challenges and Micropub's potential with syndication and destination targets. Please leave a review in Apple Podcasts and recommend it using your favorite podcast player. You can help support the development of the show by sponsoring Eddie.